At the Southern California Sinus Institute, award-winning sinus surgeon Dr. Alen Cohen treats patients throughout greater Los Angeles suffering from sinus headaches. Sinus headaches arise from pain and pressure brought on by clogged sinuses. With millions of people suffering from headaches each day, it can be difficult to determine whether you’re suffering from a tension headache, a migraine, or a sinus headache. 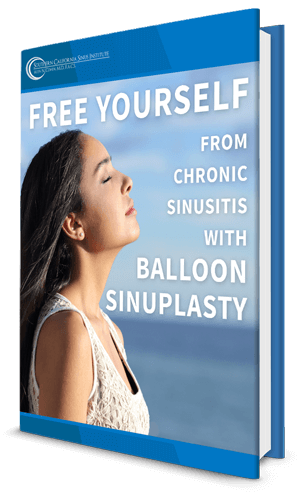 Los Angeles’ best sinus surgeon, Dr. Alen Cohen can help you to diagnose if the pressure and pain you are experiencing is the result of obstructed sinuses. Pain and pressure that gets worse when you lay down, or bend forward. In order to relieve the pain and pressure you are experiencing from a sinus headache, Dr. Cohen will typically provide a course of treatments that may include combinations of pain relievers, decongestants, and in some cases even allergy medication, if a sinus headache appears to be resulting from environmental allergens in Southern California. He may also recommend some lifestyle adjustments such as installing a HEPA filter in your home or utilizing a humidifier to help your nasal passages to stay moist. If you are suffering from sinus headaches in Los Angeles, schedule an appointment today, with the Southern California Sinus Institute, in order to expedite the relief from sinus pressure and pain.